This post I will share with you if you forget your smartphone Samsung S7262 Password. how you can remove your device pattern lock easily. Before Hard Reset Your Samsung S7262 Mobile Phone at first backup your all of user data. also, you should make sure your Samsung Mobile phone battery charge is not empty. battery charge should be 70% up. if your battery low and try flash your device for battery if the phone is turn off device will be dead. so before flash recharge your battery. remove your sim card and memory card then start hard reset process. if you did not remove sim and memory card you will be lost you're all of the sim number and memory card data. 1. At First Press And Hold Power Button to turn off your Mobile phone. after turn, off remove the battery and reinsert it. 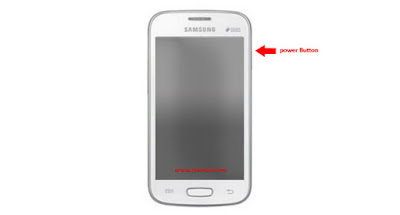 3.when you will see Samsung logo on screen Release Power Key. 5. After That Use Volume key to scroll down and select "Wipe Data/Factory Reset" and power key to confirm. 6. After that select "Yes -- delete all user data" press again power button to confirm and wait few seconds. 7. you are now last step just select "reboot system now" and pressing power key to confirm. wait until restart your Samsung S7262. If You Not Understand anything or if you have any question please ask me on comment.